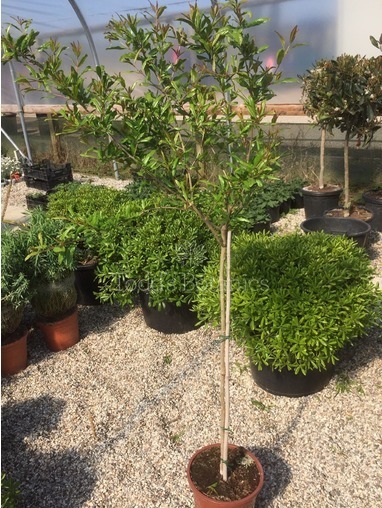 The pomegranate tree is a great sized tree for even a smaller garden. 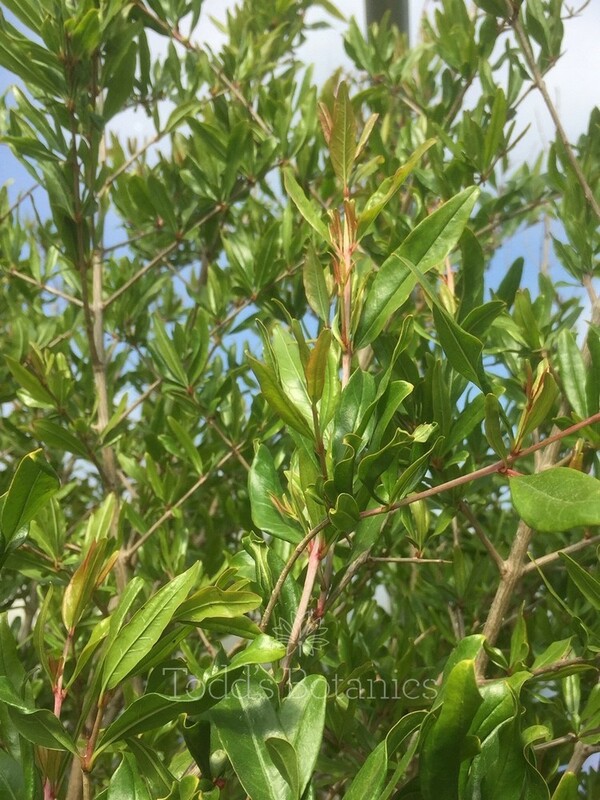 Once mature, it has very attractive golden bark which layers and becomes quite textural. Pomegranates are deciduous trees and have attractive, glossy leaves. 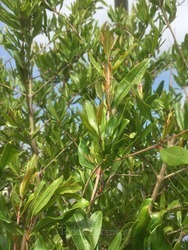 Their new shoots in spring have copper red tones. 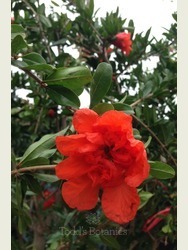 The large, showy flowers are really beautiful - they have a waxy appearance and are an incredible scarlet orange colour. 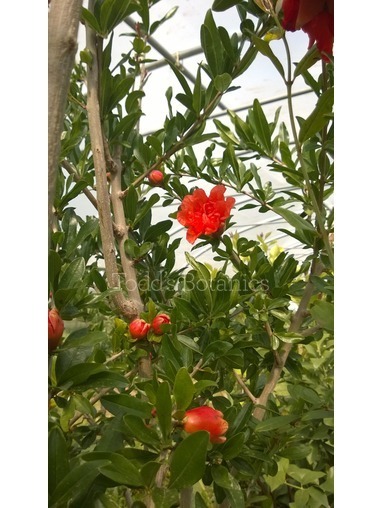 Some flowers will set fruit - pomegranate trees are self fertile. A sheltered site is preferable, to ensure better fruit set. Pomegranates are grown widely in Mediterranean countries for their delicious fruit, but in our UK climate they do flower and set fruit. 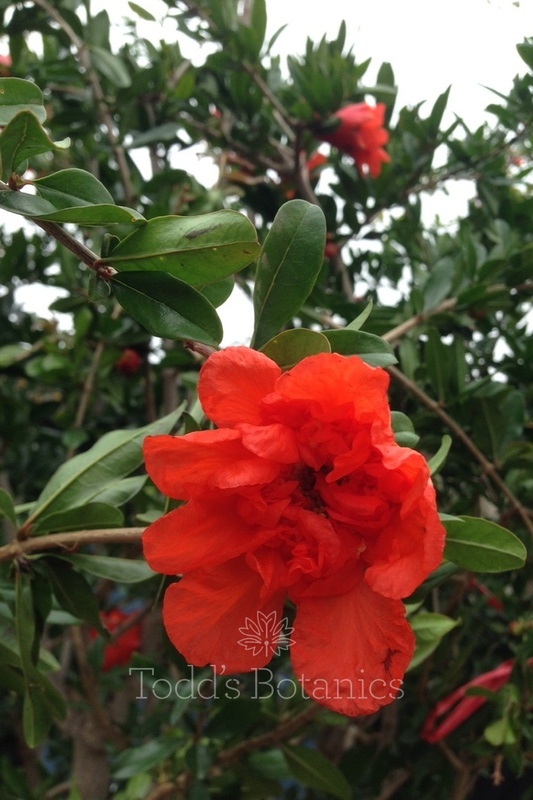 Here at the nursery we do not protect them at all in winter, and they flower and fruit happily the following year. 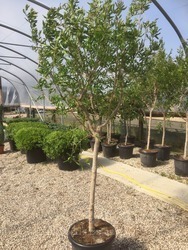 They flower in early summer - please note that the tree you receive may not be in bud or flower, depending on the time of year that you place your order. 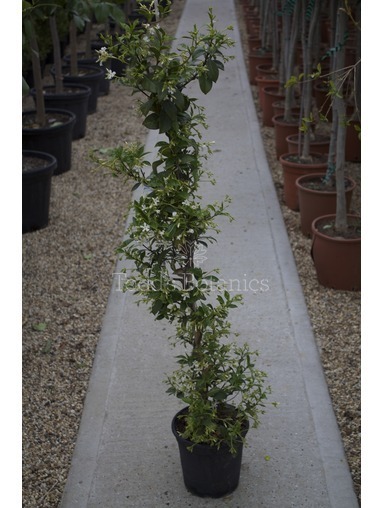 Hardiness- Whilst the RHS officially classes pomegranates as H3 (hardy to -5) we have had great success with them for the past 4 winters here in North Essex - including winter 2017-18 which included a number of night time lows of -8, lots of snow fall and the 'Beast from the East'...All our 30 litre pomegranate trees stand out doors for winter with no protection. They are best suited to a sheltered garden in full sun or partial shade but prefer a fertile, well drained soil. They are very drought tolerant once established. 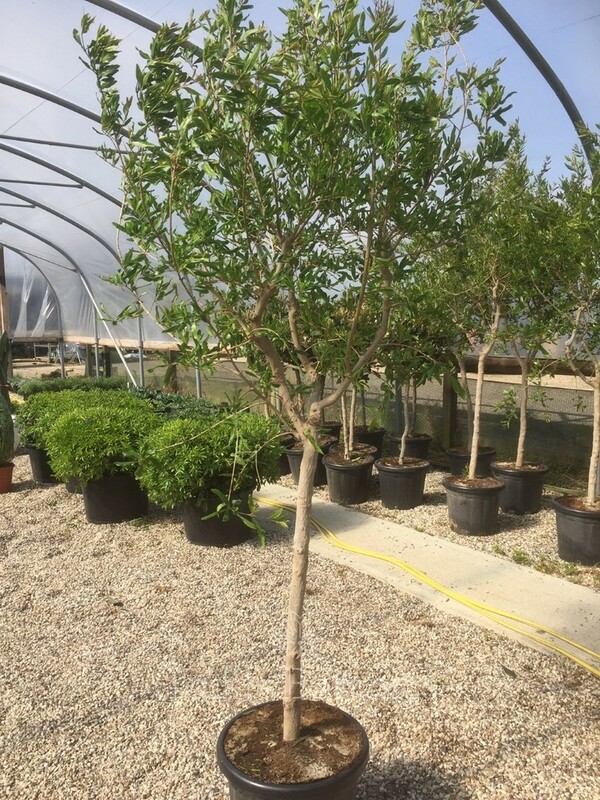 If grown in pots, as with all containerised plants, they need to be well watered and fed regularly during the growing season. If you would like to grow one in a terracotta pot, then we can recommend vasotoscano for beautiful, frost proof terracotta pots.